Looking to buy an Orthodox cross for a baptism, as a gift or simply for yourself? Our Orthodox crosses are sure to please! 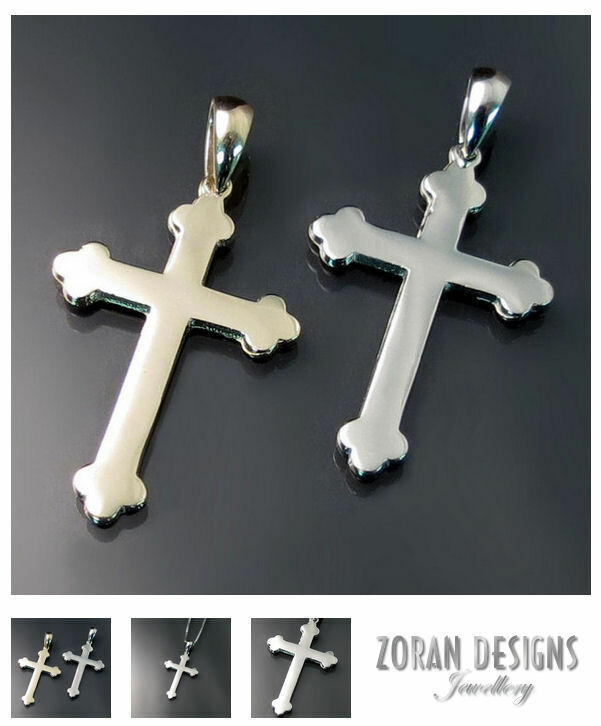 Available in yellow or white gold, our collection of Orthodox cross pendants includes plain, non-denominational styles, classics such as the St.Olga cross and small baptismal Orthodox crosses suitable for babies and children. We our proud to serve our local GTA community including Hamilton, Burlington, Oakville, Mississauga, Toronto, St. Catharines, and Niagara. Free shipping within Canada for purchases over $150. We ship internationally to the USA, UK, Australia, Austria, Germany, and some other EU countries. If you prefer to shop our Orthodox crosses online click here.